Today was Day #8 of Chocolate and Africa Theme Week. 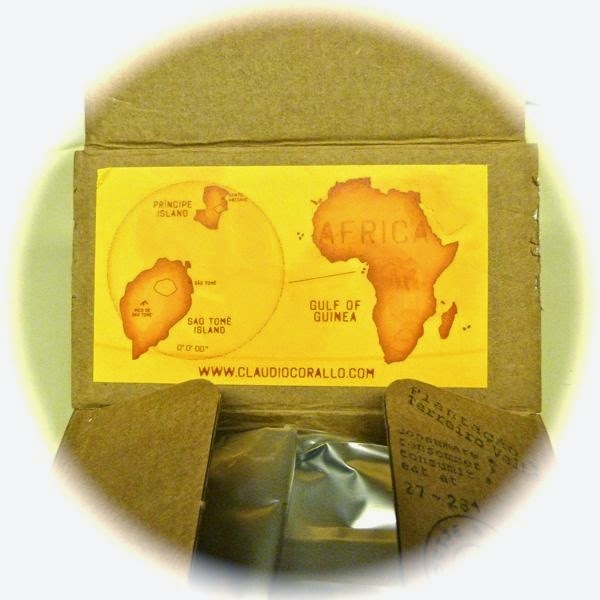 Perhaps no mention of chocolate from Africa would be complete without mentioning Claudio Corallo. The man, and the chocolate maker, have merged into one, if for no other reason than his complete devotion to making great chocolate, in country, from tree-to-bar, in the small African island nation of Sao Tome et Principe, located West of Gabon and slightly north of the Equator). 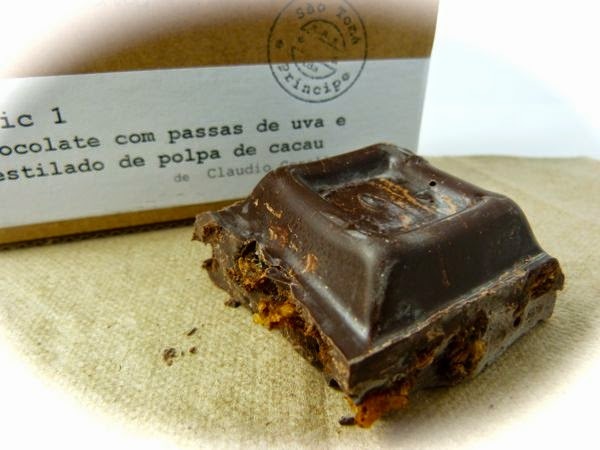 This chocolate, with the long name (Ubric 1 - chocolate comme passas de uva e destilado de polpa de cacau) and the high price ($26 for 1 box), was worthy of attention for at least two reasons. First there is no other chocolate quite like this one, with robust chocolate and rum raisin flavor that comes from grapes and cacao pulp/fruit*. Second, it tastes intriguing and delicious. There are only a few places in the U.S. that carry Claudio Corallo chocolates; Alegio Chocolate in the San Francisco Bay Area (Berkeley and Palo Alto) is one. *The white pulpy fruit surrounding the core of seeds in a cacao pod, is full of flavor, but ferments very quickly, and you are unlikely to find fresh cacao pods or fruit in a store to taste. When incorporated correctly into chocolate (see also Madre Chocolate's Triple Cacao bar with cacao fruit, nibs and chocolate), and it can be wonderful.